In Flack this week: Cameron's former spokesman talks EU legacy, SpongeBob and Scooby-Doo star for Sky, and flushing out optimal sport content. 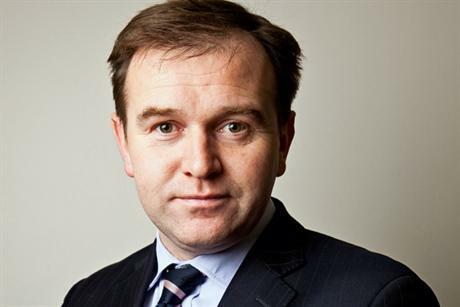 As the Brexit debate rumbles on/fires up (delete as appropriate), Flack was tickled by this insight from David Cameron’s former spokesman George Eustice (pictured) contained in the latter’s comments in a recent compendium of EU thoughts compiled by Portland. Eustice, now farming minister, recounts that in a meeting during the last days of Tony Blair’s government, when warned that his EU policy risked Britain leaving the Union, Cameron joked: "Oh well, at least I won't have to worry about my legacy." What a difference nine years make, eh David? Hats off to this witty campaign from comparison website GoCompare, created with 10 Yetis. The brand has launched a 'break-up guide' for people looking to switch energy supplier, written in the style of a relationship self-help book and featuring references to Taylor Swift, Beyoncé and Fifty Shades of Grey. The guide – Gas is from Mars, Electricity is from Venus – warns of taking suppliers on the "rebound", who will "make you feel valued for all of five minutes before the curtain falls and you realise what you’ve really signed up to". It adds: "Be particularly wary of sweet-talking providers who will tell you precisely what you want to hear to get you to agree to anything." You get the idea. Take a look for yourself by clicking here. Talking of inventive campaigns, Fever PR was behind this colourful promotion for the Sky Kids app during half-term. The agency created the Sky Kids Cafe pop-up, a free TV-themed play area and eatery featuring sets and characters from the likes of Scooby-Doo, Ben & Holly and SpongeBob SquarePants. 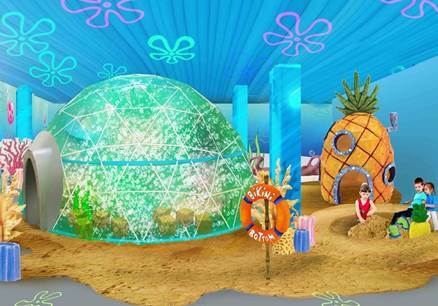 There’s an interactive element, with children able to make sandcastles next to SpongeBob’s house and solve Scooby-Doo mysteries, while food options included bite-size Scooby Dogs and – or course – Mr Krab’s Fish Fingers. The event attracted 800 people across three days, not including the 200+ that attended the celeb opening on Sunday. Good result. PRWeek's coverage of our 30 Under 30 has been the best-read story of the week so far, with industry folk clearly eager to hear the views of PR's upcoming stars. Just for giggles, this year we ran a competition to see which of the 30 could generate the greatest number of views of their profile page. 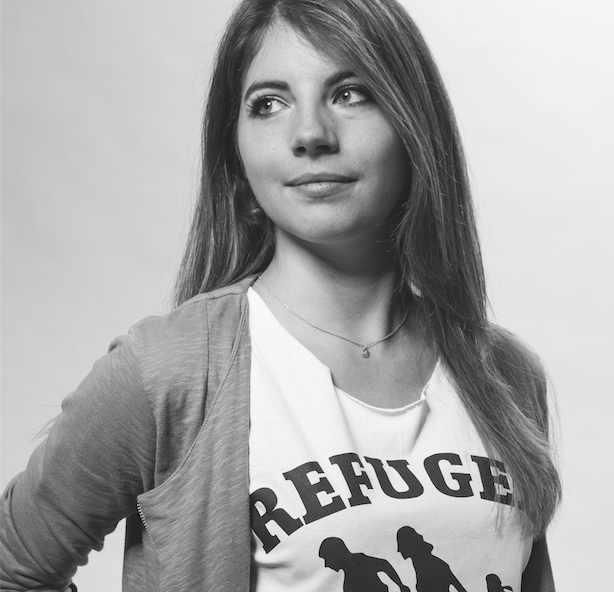 Step forward Asylum Aid's Zoe Gardner (pictured), whose profile was the most read, followed by Cohn & Wolfe's Laura Bevan and Ottilie Ratcliffe of The Romans. Champagne, all round. Performance Communications has compiled an interesting report into the future of the sports fan, looking at the make-up of fan bases, the motivations behind fandom and key trends affecting behaviour. One salient point is that 73 per cent of fans wanted to access sport content "whenever they want". But worryingly, many are actually doing just that – one quarter had done so on the toilet. "Maybe an option for a brand to produce a mobile sanitiser…" quipped Flack’s friend at Performance. Perhaps even more surprisingly, 14 per cent had accessed sport during a wedding – or a funeral. Surely that deserves a red card. Finally, an academic in Poland has asked Flack for help publicising a surveying she is running of UK PR professionals, as part of a thesis on the differences between PR in her home country and Britain. Subjects covered include integration, the use of social media, ethics and more – you can take the survey by clicking here. Should be some interesting results.